[Libertarians] are not defenders of capitalism. They’re a group of publicity seekerswho rush into politics prematurely, because they allegedly want to educate people through a political campaign, which can’t be done. Further, their leadership consists of men of every of persuasion, from religious conservatives to anarchists. Moreover, most of them are my enemies: they spend their time denouncing me, while plagiarizing my ideas. Now, I think it’s a bad beginning for an allegedly pro-capitalist party to start by stealing ideas. Now here is a party that plagiarizes some of my ideas, mixes it with the exact opposite—with religionists, anarchists, and just about every intellectual misfit and scum they can find—and they call themselves Libertarians, and run for office. I dislike Reagan and Carter; I’m not too enthusiastic about the other candidates. But the worst of them are giants compared to anybody who would attempt something as un-philosophical, low, and pragmatic as the Libertarian Party. It is the last insult to ideas and philosophical consistency. [Question] Why don’t you approve of the Libertarians, thousands of whom are loyal readers of your works? [Rand] Because Libertarians are a monstrous, disgusting bunch of people: they plagiarize my ideas when that fits their purpose, and they denounce me in a more vicious manner than any communist publication, when that fits their purpose. They are lower than any pragmatists, and what they hold against Objectivism is morality. They’d like to have an amoral political program. The Libertarians aren’t worthy of being the means to any end, let alone the end of spreading Objectivism. Rand also disagreed with libertarians on foreign policy. For example, most libertarians – including Ron Paul – oppose military intervention against Iran, while the Ayn Rand Institute has supported forceful intervention in Iran. Sandeep Jaitly of Fekete Research says that real libertarians do not follow Rand’s philosophy. Murray Rothbard – founder of modern libertarianism, chief academic officer of leading libertarian think tank the Mises Institute, and one of the most important thinkers in the Austrian School of Economics –argued in 1972 that Rand was a champion for her own aggrandizement, not for liberty or reason. The Ayn Rand cult … flourished for just ten years in the 1960s…. It also promotedslavish dependence on the guru in the name of independence; adoration and obedience to the leader in the name of every person’s individuality; and blind emotion and faith in the guru in the name of Reason. Since every cult is grounded on a faith in the infallibility of the guru, it becomes necessary to keep its disciples in ignorance of contradictory infidel writings which may wean cult members away from the fold. Just as Communists are often instructed not to read anti-Communist literature, the Rand cult went further to disseminate what was virtually an Index of Permitted Books. In a development eerily reminiscent of the organized hatred directed against the arch-heretic Emanuel Goldstein in Orwell’s 1984, Rand cultists were required to sign a loyalty oath to Rand; essential to the loyalty oath was a declaration that the signer would henceforth never read any future works of the apostate and arch-hereticBranden [Rand’s number 2]. After the split, any Rand cultist seen carrying a book or writing by Branden was promptly excommunicated. Cultists were required to swear their unquestioning belief that Rand was right and Branden wrong, even though they were not permitted to learn the facts behind the split. In fact, the mere failure to take a stand, the mere attempt to find the facts, or the statement that one could not take a stand on such a grave matter without knowledge of the facts was sufficient for instant expulsion. For such an attitude was conclusive proof of the defective “loyalty” of the disciple to his guru, Ayn Rand. Just as the Marxist movements developed jargon and slogans which were clung to for fear of uttering incorrect deviations, the same was true in the Randian movement. In the name of “precision of language,” in short, nuance and even synonyms were in effect prohibited. 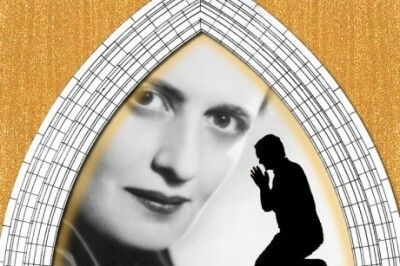 Any such confession meant a harrowing process of ideological and psychological purification, supposedly ending in one’s success at achieving rationality, independence, and self-esteem and therefore an unquestioning and blind devotion to Ayn Rand. One top young Randian … was deathly afraid to ask the question, it being so basic that he knew he would be excommunicated on the spot for simply raising the point; but he had complete faith that if Rand should be asked the question, she would answer it satisfactorily and resolve his doubts. And so he waited, year after year, hoping against hope that someone would ask the question, be expelled, but that his own doubts would then be resolved in the process. In the manner of many cults, loyalty to the guru had to supersede loyalty to family and friends – typically the first personal crises for the fledgling Randian. If non-Randian family and friends persisted in their heresies even after being hectored at some length by the young neophyte, they were then considered to be irrational and part of the Enemy and had to be abandoned. The same was true of spouses; many marriages were broken up by the cult leadership who sternly informed either the wife or the husband that their spouses were not sufficiently Randworthy. Indeed, since emotions resulted only from premises, and since the leaders’ premises were by definition supremely rational, that top leadership presumed to try to match and unmatch couples. One girl, a certified top Randian, who experienced the misfortune of falling in love with an unworthy non-Randian. The leadership told the girl that if she persisted in her desire to marry the man, she would be instantly excommunicated. She did so nevertheless, and was promptly expelled. It is no wonder that the enormous psychological pressure of cult membership led to an extremely high turnover in the Randian movement, relatively far more so than among the Communists. Such fear was greater than that of a Communist member, because the Randian had far less leeway for ideological or personal deviation. Furthermore, since Rand had an absolute and total line on every conceivable question of ideology and daily life, all aspects of such life had to be searched – by oneself and by others – for suspicious heresies and deviations. Everything was the object of fear and suspicion. There was the fear of making an independent judgment, for suppose that the member was to make a statement on some subject on which he did not know Rand’s position, and then were to find out that Rand disagreed. Every Randian lived in – and indeed was himself – a community of spies and informers, ready to ferret out and denounce any deviations from Randian doctrine. Thus, one time a Randian, walking with a girl friend, told her that he had attended a party at which several Randians had made an impromptu tape imitating the voices of the top Randian leaders. Stricken by this dire information and after spending a sleepless night, the girl rushed to inform the top leadership of this terrible transgression. Promptly, the leading participants were called on the carpet by their Objectivist Psychotherapist and bitterly denounced in their “therapy” sessions: “After all,” said the therapist, “you wouldn’t mock God.” When the owner of the tape refused the therapist’s demand to relinquish it so that it could be inspected in detail, his doom as a member of the movement was effectively sealed. No Randian, even the top leadership, was exempt from the all-pervasive fear and repression. Every one of the original cadre, for example, was placed on probation at least once, and was forced to demonstrate his loyalty to Rand at length and in numerous ways. Cult theory decreed that happiness can only be achieved by being a committed Randian; they couldn’t even be intelligent, since how could seemingly intelligent people not be Randians, especially if they commit the gravest sin – failing to become Randians once they were exposed to this new gospel. The errant member was peremptorily ordered to appear at a “trial” to hear charges against him. If he refused to appear – as he would if he had any shred of self-respect left – then the trial would continue in absentia, with all the members present taking turns in denouncing the expelled member, reading charges against him (again in a manner eerily reminiscent of 1984)…. Having his closest friend take the leading part in the heresy proceeding was of course important as a way of forcing the friend to demonstrate his own loyalty to Rand, thereby clearing himself of any lingering taint by association. It is reported that when Branden was expelled, one of his closest former friends in New York sent him a letter proclaiming that the only moral thing he could do at that point was to commit suicide – a strange position for an allegedly pro-life, pro-individual-purpose philosophy to take. Robotically, the Randians intoned their slogans, generally imitating the poses and manner of Nathaniel and Barbara Branden, and further, imitating their common cult vision of heroes and heroines of the Randian fictional canon …. Many of the young men managed to look like carbon copies of Branden, while the young women tried to look like Barbara Branden, replete with the cigarette-holder held aloft, derived from Ayn Rand herself, that was supposed to symbolize the high moral standards and the mocking contempt wielded by Randian heroines. Preferring Bach, for example, to Rachmaninoff, subjected one to charges of believing in a “malevolent universe.” lf not corrected by self-criticism and psychotherapeutic brainwashing, such deviation could well lead to ejection from the movement. If the Rand line was totalitarian, encompassing all of one’s life, then, even when all the general premises were agreed upon and Randians checked with headquarters to see who was In or Out, there was still need to have some “judicial” mechanism to resolve concrete issues and to make sure that every member toed the line on that question. No one was ever allowed to be neutral on any issue. The judicial mechanism to resolve such concrete disputes was, as usual in cults, the rank one enjoyed in the Randian hierarchy. There was an unofficial designation that was far more revealing: “the senior collective” …. each and every one of them was related to each other, all being part of one Canadian Jewish family, relatives of either Nathan or Barbara Branden. There was, for example, Nathan’s sister Elaine Kalberman; his brother-in-law, Harry Kalberman; his first cousin, Dr. Allan Blumenthal, who assumed the mantle of leading Objectivist Psychotherapist after Branden’s expulsion; Barbara’s first cousin, Leonard Piekoff; and Joan Mitchell, wife of Allan Blumenthal. Alan Greenspan’s familial relation was more tenuous, being the former husband of Joan Mitchell. The only non-relative in the class of ’43 was Mary Ann Rukovina, who made the top rank after being the college roommate of Joan Mitchell. The Rand cult was concerned not with every man’s individuality, but only with Rand’s individuality, not with everyone’s right reason but only with Rand’s reason. The only individuality that flowered to the extent of blotting out all others, was Ayn Rand’s herself; everyone else was to become a cipher subject to Rand’s mind and will. The guiding spirit of the Randian movement was not individual liberty – as it seemed to many young members – but rather personal power for Ayn Rand and her leading disciples. For power within the movement could be secured by totalitarian isolation and control of the minds and lives of every member; but such tactics could scarcely work outside the movement, where power could only hopefully be achieved by cozying up the President and his inner circles of dominion. Thus, power not liberty or reason, was the central thrust of the Randian movement. The major lesson of the history of the movement to libertarians is that It Can Happen Here, that libertarians, despite explicit devotion to reason and individuality, are not exempt from the mystical and totalitarian cultism that pervades other ideological as well as religious movements.Hopefully, libertarians, once bitten by the virus, may now prove immune. Postscript: Ayn Rand’s main real life hero was apparently a serial killer. See this, this and this. That doesn’t mean that she didn’t write great books; but it does call her judgment into question.